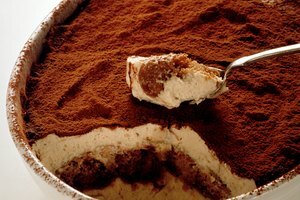 The espresso- and chocolate-flavored layers of tiramisu originated in Italy but hold worldwide popularity. Refrigeration is an integral part of the recipe, as important as any of the ingredients. 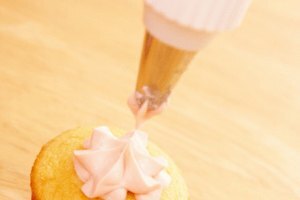 Not only is it important to prevent bacterial growth and spoilage, it also plays a key role in the dessert's soft and creamy texture. Proper refrigeration and storage is necessary to attain the true consistency of the dish. Tiramisu includes egg yolks and sugar that are cooked in a double boiler and whipped until thick. Mascarpone cheese is mixed in, then the mixture is folded into freshly whipped cream. 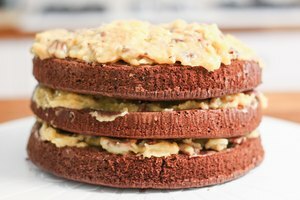 The familiar cookie layer is made of ladyfingers, which are dipped in espresso or coffee liquor for flavor and softening. The ladyfingers and the mascarpone and whipped cream mixture are assembled in layers, and dusted with cocoa powder just before serving. 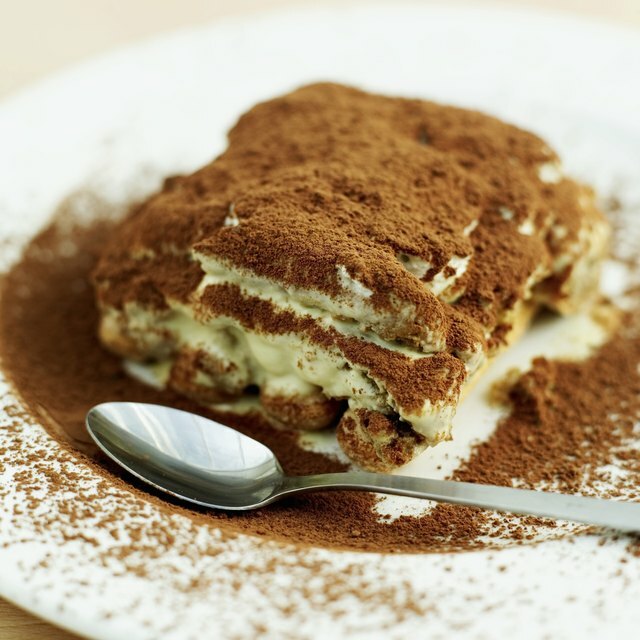 Once assembled, tiramisu should sit for four to six hours before serving. The ladyfingers need time to soften before serving, or you’ll have a crunchy tiramisu. As the tiramisu sits, the flavors blend together. It’s important to refrigerate the tiramisu during this time for safety reasons. Dairy products shouldn’t sit out for longer than two hours. 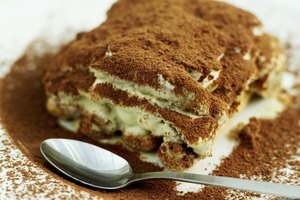 In the rare event that you have leftover tiramisu, store it in the refrigerator for up to two days. After that point, it is still safe to eat, but the quality diminishes. The ladyfingers continue to soften from the moment that you assemble the dessert. After about two days, they begin to break down and the dessert may become mushy. One benefit of tiramisu is that it freezes with little to no loss of quality. When you make it, double the recipe and make a second dessert to freeze for later. 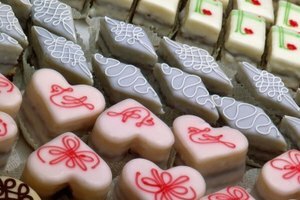 Be sure to freeze it in a freezer-safe container and double wrap it in plastic wrap and aluminum foil. Tiramisu will keep for three months in the freezer at 0 degrees Fahrenheit or below. When you’re ready to serve, thaw it in the refrigerator overnight.